Please be sure to Share our website with your friends and family by clicking the social media, buttons on the left. The Nation of Judah Church is a working Church that works "BEYOND THE WALLS". That means we have ministers, missionaries, evangelists, and even our Apostle, working around the clock, in 5 time-zones, training Disciples, Missionaries, Pastors and Ministers, Teaching the Gospel, Ministering to the lost, the shut-in, the sick, and those seeking Yahshua. We also organize Revivals and Crusades, home and hospital visits, and feed the hungry. Our work of searching for souls never stops. We are fully committed to Winning Souls for the Kingdom of Yahweh everywhere we go. Below are the activities we are engaged in to get a better grasp of our reach, and outreach. It is our prayer that you be apart of what we do, and and if you are interested, consider becoming a monthly Covenant Partner. If unable to give a Free Will Donation, your prayers for our needs to be met is a real blessing to us as well. Through our International Outreach Ministries, We provide clothing, food, Revival Crusades, Ministry and Discipleship training, Women Empowerment Seminars and currently the process of Planting Churches both in the US and Africa. Our International Outreach Ministries provides. God will get the glory through your Free Will Donation. 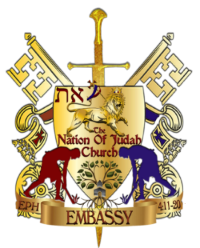 All of the Programs here at The Nation Of Judah Church have a Kingdom Purpose, Kingdom Vision and Kingdom Mission. The donation forms, and credit card information, are protected by the Highest Level of SSL Encryption, not only through this website, but our merchant processor Stripe and Square Cash App as well.